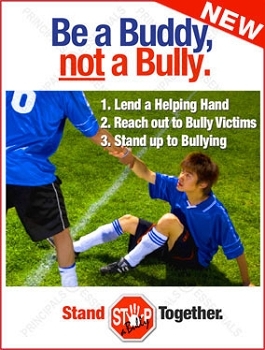 Poster Copy Lend a Hand to Stop a Bully. Join a Growing Movement. 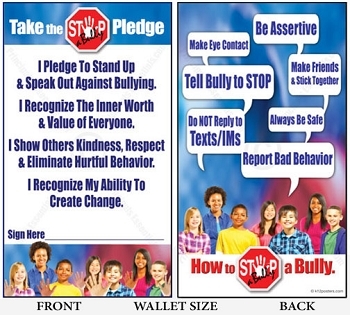 Set school-wide bully prevention procedures & expectations. 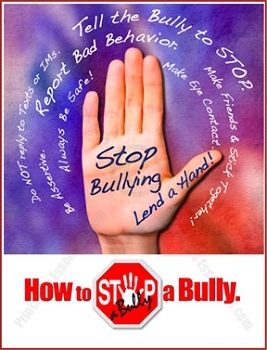 Encourage a hands on approach to bully prevention. Instruct students how to deal with school bullies. TOP SELLER! 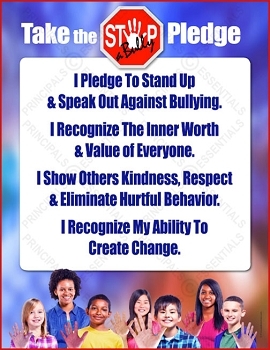 The Bully Prevention Pledge. 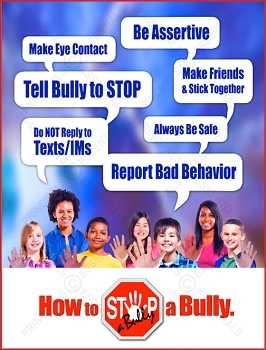 Set clear bully prevention procedures and student behavioral expectations. Put bullies on notice! 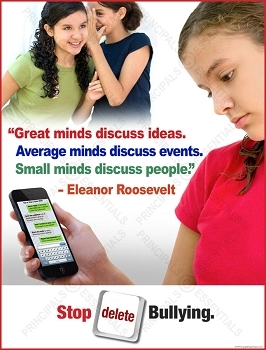 Promote clear school procedures & discussions on bullying. 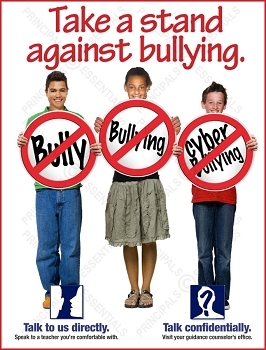 Promote healthy discussions on bully prevention. 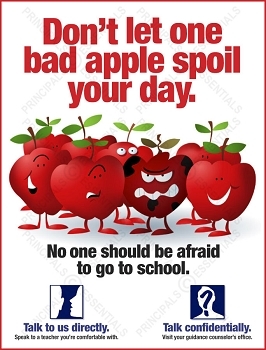 Don't let one bad apple spoil your day. No one should be afraid to go to school. 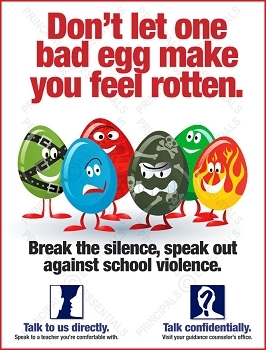 Don't let one bad egg make you feel rotten. Encourage students to speak about school violence. 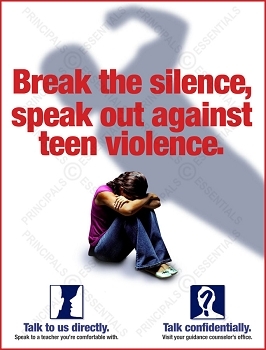 Break the silence, speak out against teen violence. Encourage students to speak out against school violence. 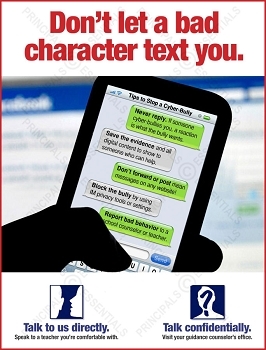 Don't let a bad character text you. Every day, 60,000 students miss school due to fear or intimidation by a bully. 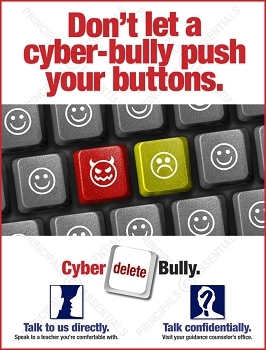 Don't let a cyber-bully push your buttons. 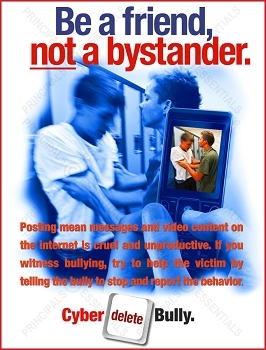 Stop cyber-bullying and put bullies on notice! 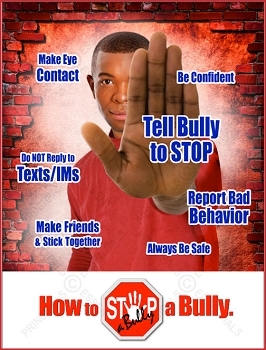 Try our school bully prevent posters. 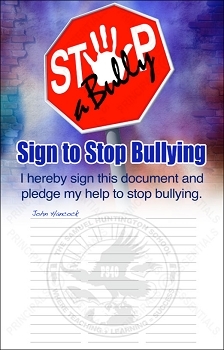 Help students pledge & commit to stop bullying. 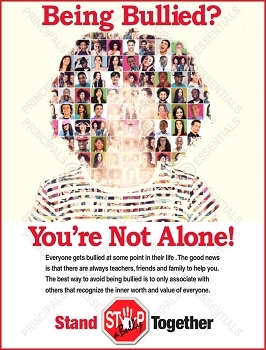 Encourages students to speak out against bullying. 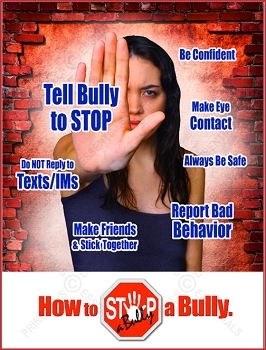 Set clear bully prevention school procedures. Start a growing movement to stop bullying. Discourage students from posting cruel video content. Great minds discuss ideas. Small minds discuss people. Encourage students to speak out against bullying. 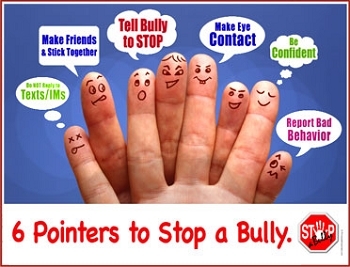 Point out ways to stop school bullying. 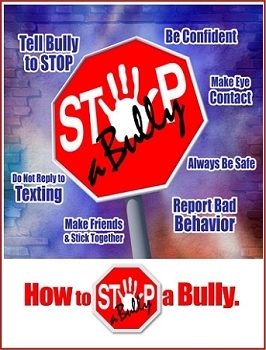 Help raise awareness to stop school bullying. 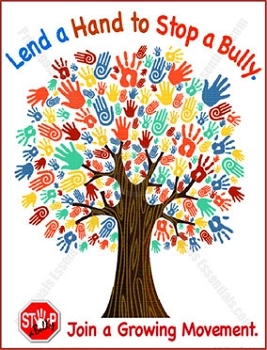 Lend a Hand to Stop a Bully. Be a Buddy, not a Bully. Show kindness to stop school bullying. Reach out to students victimized by a bully. 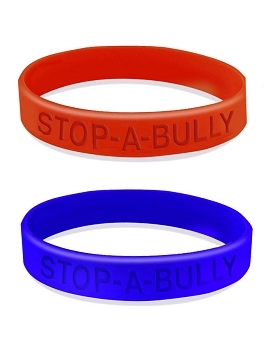 Students commit to bully prevention by wearing the bully wrist band. 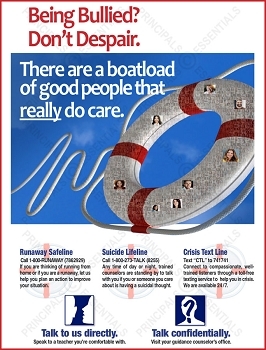 Provide resources for suicide prevention and crisis intervention solutions. Being Bullied? You’re Not Alone! Encourage students to unite for kindness, acceptance and inclusion. 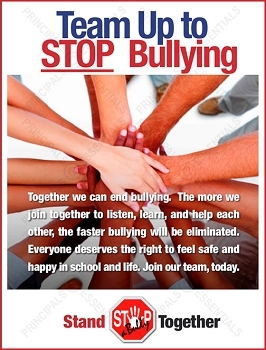 Encourage students to team up and unite against bullying. Every student deserves the right to feel safe and happy in school. 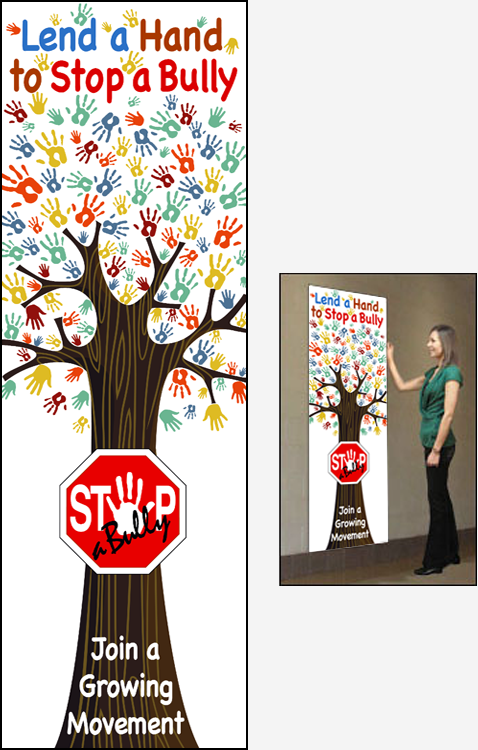 Students sign this 42"x 80" vinyl banner and pledge to stop bullying.